I am participating in the #DIYMFA book club. You can read the first post in this series here. Number 2 here. I participated last year as well, so if you would like to read my original post on this topic you can read that here. Gabriela Pereira is the author and instigator of the DIYMFA empire. Prompt: What tools do you use to feed your creativity? If you would like to know more about any of these tools let me know. I always feel I get a little insight into myself no matter how silly the quiz is. I have used the 16personalities.com quiz as a teacher coach. I like these types of quizzes as springboards for conversation, communication and, reflection. This SUPERPOWER quiz is supposed to lead me to how I approach writing. My initial results indicate the Disruptor. You can read the description below. You’re drawn to larger-than-life characters who rebel against the status quo. Your stories champion people who will do whatever it takes to change their societies, overcome all odds, and defeat tyranny. Whether your character makes a small but significant personal choice or starts an all-out revolution, at the core your stories are about sharing your ideals with the world. As I said, this is not a scientific study nor a psychological test. As a writer of short stories I am constantly creating new worlds and characters. I love a great story that has a character that changes throughout the course of the story and who has a shift of mindset. I am a rebel – even for rules I impose on myself. I don’t like being told what to do in most cases, even if I tell myself. HA! I have had critiques where the reader felt there are too many unanswered questions or a character did something completely surprising. I don’t always follow story rules. I am usually ok with that though. I do have deep fundamental beliefs that come through some of my stories. I am not sure as a writer that I would want to stop that. Not all the characters I write share my same beliefs. For one, that would be terribly boring. Depending on the type of piece I am writing depends on how I approach it. It makes me multifaceted and I like it! What is your superpower!? I would love to know what you are. If you would like to read the first post in this series you can click here. I am participating in the #DIYMFA book club. You can read the first post in this series here. I participated last year as well, so if you would like to read my original post on this topic you can read that HERE. Has there ever been a moment when writing felt completely incompatible with your real life–when it felt like there was just no way you could make the two exist together? The largest component that pops out for me from this prompt me is the idea of BALANCE. I wrote about balance for the Five Minute Friday challenge and you can read that post here. Writing is part of my daily reality, but balance is a myth. There are priorities in life and you have to decide what goes first everyday. Every day can be a different set of decisions about what is essential. When I read this prompt this morning this is the story that came to mind to share. During NANOWRIMO (National Novel Writing Month) this past November the goal is to write about 1700 words a day to reach the goal of 50,000 words for the month. I had an important workshop I needed to attend for 2 days at the end of the month including travel and overnight stays. There were days that I wrote more than 1700 words during the challenge. There were even several 3000 word days! I had no way of knowing if I would have time during the training to write, so I made sure I reached my 50,000 word goal BEFORE I left for that trip. There were several mornings I woke super early (3am early) and wrote 1000 words before I went to work. I wrote in pockets of time to get the goal accomplished. Plus I really love this story! I formed the goal and then the plan to make the word count happen. I was committed and it became reality. For me, writing doesn’t always look like words on the screen. Sometimes it is notes in the notebook or on the KEEP app. Sometimes it is only a blog post. Sometimes it is a full short story. WORDS happen every day because that is the reality I create. Words help me connect to myself and other people. I believe you make time for what is important to you – writing is that thing for me. It isn’t the only thing – but it is near the top of the list! What do you make time for in your life? How Did I Become A Serious Writer? Reading and writing are best friends. 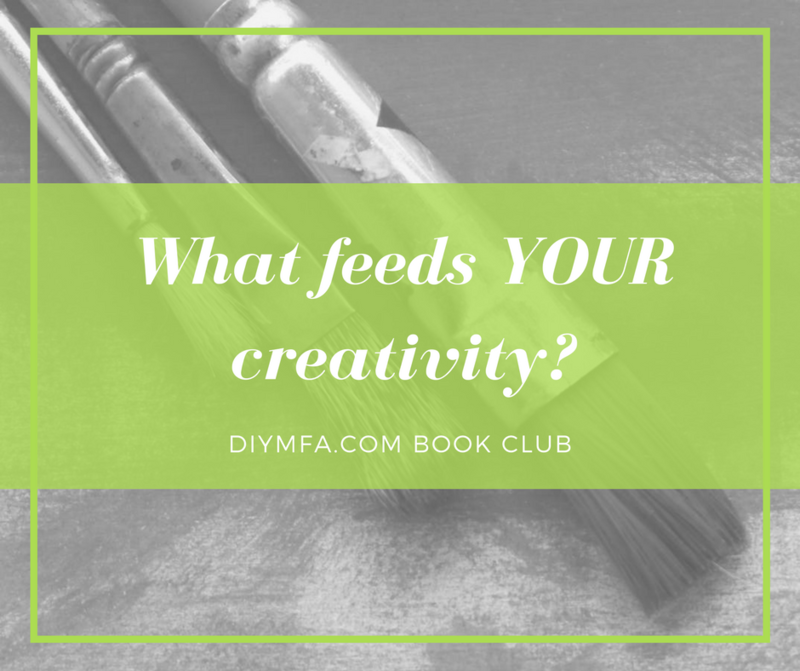 I am participating in the DIYMFA Book Club again and this post is inspired by the DIYMFA site and book club. The last time I wrote about my origin story was from the POV of my first run in with writing. It infected me them and you can read about it here. The question I am reflecting on is: ” How did I become a serious writer?” In October of 2016 I found Gabriela’s podcast. Through that podcast I found Julie Duffy and her STORYADAY challenge and website. I had missed Julie’s September storyaday challenge so I challenged myself to a self imposed month of writing a story a day. That process led me to sign up for NANOWRIMO (National Novel Writing Month) and the habit stuck. This was also when I found short stories were my niche. It is hard to quit writing when you have written everyday for 2 months. That first NANO I wrote short stories everyday and didn’t look back. I also seriously began posting on my blog and started calling myself a writer after the first of the year 2017. May rolled around and I participated in the May storyaday and wrote a whole folder of stories inspired by Julie’s prompts. I also gained a writing group. I took the plunge and took advantage of the Superstars group Julie offered. For support, she offered more materials and a special forum for us to talk about writing and the challenge. What else do I do? I make time to write everyday. I started reading more about craft. I learned more about blogging and how to get more traffic and how to write better content. I read A LOT – short stories and craft books. I interacted with other writers online and found a local in real life writing group. I recently took a class from a well respected flash fiction writer and learned more from the feedback and a critique in three weeks than most of the reading I have done about editing over the last year and a half. I hope to be able to take another class with her soon. The next step? I am submitting. I ordered business cards this morning that list writer FIRST. I am in the lottery (fingers crossed) to get into Kathy Fish’s flash writing class. If not now, I will keep trying. I have committed to the writing. Everyday, THAT is what makes me a serious writer…getting the words on the page (or screen). I am obsessed with the concept of Hygge. I love the feeling of fireplaces and good people. Good conversation and sweaters and leggings. The feeling of walking in the woods during a snowstorm. The feeling of warmth and coziness. Hygge and the feeling of joy are two things I try to incorporate into my workspace. You can read more about my obsession with Hygge here. Rainy foggy days where you feel like you want to curl up in reading socks with a mug of coffee and write in a journal are the equivalent in my world for lack of snow! So no matter where you live Hygge can be a reality! My office is full of books. One of the consultants in our building this year asked if these were school issued books. I laughed and said they were 99% my personal collection. The books I have now are about 25% of what I had a couple years ago. After a position where my boss made me move offices 3 times in one year I decided that moving the books one more time was just too much. I gave away books to students that likely had none at home and shared with colleagues. I started collecting books when I was an undergrad when introduced to the scholastic book order flyers – oh the books I bought for 99 cents! I have a coffee pot that makes the room smell warm and inviting and keeps me fueled. I have the tables arranged in ways that can be used my bi-monthly professional development Workshop Wednesday. I have homemade bowls from art events from past students filled with chocolate, candy, post it notes pen and pencils. Anchor charts are on the walls as well as funny and motivational phrases. I love a good quote! I also have a wall that is covered with personal pictures and fun things as well as the phone directory for my school. There is a section called “Things Overheard in Breitweiser’s Office”I always make it a point for there to be something interesting to read on the walls just in case my students’ minds wander! The wall has pictures of my kids and my husband, and post its of things to not forget. There are two large posters that have the results of the 16 personalities test I had the teachers do as a training to help understand each other better in order to collaborate. It also helps teachers understand how to work with some of the students that don’t seem to think the same way they do. It was a ripple effect I didn’t see coming. I write about this activity in this post. The space is conducive to learning and I love it! We remember the joy of teaching. It makes everyone a better teacher…and a better person! What is the favorite part of your workspace? This post was inspired by DIYMFA’s prompts! The DIYMFA Book Club strikes again! This question is one I have thought a lot about over the years especially since I am always reading a writing craft book. Writing is a complicated medium. 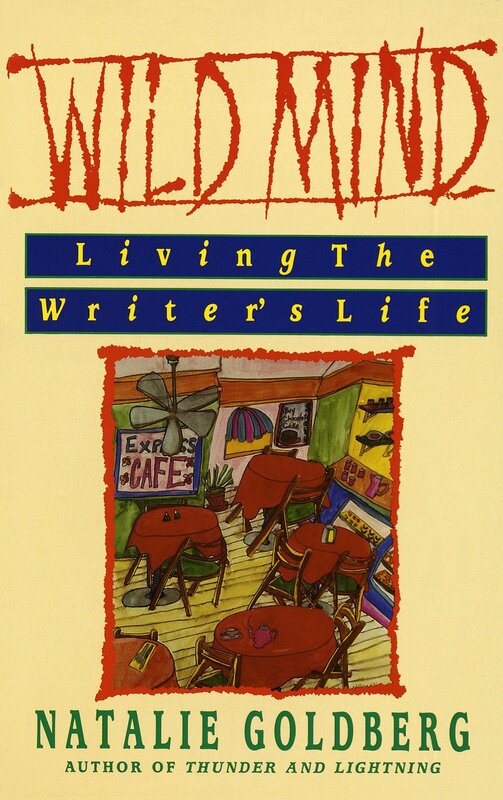 The individual writer’s practices are so varied I am fascinated by people’s processes. Any insights that I might be able to steal and make my writing life richer I am an advocate for! It is one reason I listen to Rachael Herron’s podcast How Do You Write? One piece of writing advice is to write every day first thing in the morning. I adopted this practice for a long while but it really doesn’t work for me if I am honest and reflective. I get a lot of stream of consciousness writing done, yes, but it doesn’t produce quality words. I can grab a few lines here and there but it doesn’t work for word count or progress on a piece for me. I do better to think about the writing and do a mind map or some sort of visual planning and then write. My best time to write I have found in the middle of the afternoon! Who would have thought???? I have to schedule a time to revise. I get excited about new ideas and concepts and false start many pieces. The bottom line is that I do what works for me at the time. This sometimes leads me to new exciting practices and new sentences and ideas! It is about the creative process and I am all in! What is my SuperPower? I am a disruptor. The characters I write are written to be complicated and to somehow change over the course of the story. I love to read stories with an internal piece. The internal dialogue of a character and how they are thinking and changing their behavior is completely in my wheelhouse. Therapy sessions, changes of paradigms and life are incredibly interesting to me. Even when I was young all my stories had a cryptic philosophy edge to them. I believe this is why I am drawn to short stories and poetry. There is an element of what is unsaid gently balanced with the stated. Short stories can be weird and that which is strange and interesting fuels me. I try to weave different craft pieces into the writing but often to amuse myself. I believe in the ripple effect of actions and that comes through in my stories. I am always striving to learn and I want my characters to do the same. I believe stories come to you when you need them. There are some experiences in my life that I hope to write when the emotion isn’t so fresh to be able to help someone else. Other traits of the disruptor that I embody is that my goal for writing is to inspire in some way. I try to live my life to be inspiring as well, especially working with children. I want my passion for ideas and reading to shine through to help fuel that inspiration. I tend to know what I want in writing and in life and I can get hyper-focused to get there. This also means I can get obsessed. (insert sheepish grin here) Sometimes that obsession can distract me from everything else and then I forget my own systems which take more time in the long run. Authenticity is a trait important to me as well. I can tell whether people are being genuine or not quite quickly. With real-life people and characters, if you aren’t genuine I want nothing to do with you. What is your writing superpower? The new prompt from the DIY MFA Book Club: Tell a story about a time when you had to honor your reality. Has there ever been a moment when writing felt completely incompatible with your real life–when it felt like there was just no way you could make the two exist together? I have been thinking about the concept of balance and honoring the truth of my life for the last couple of years. The idea has pinged subtly in books that I have read like ESSENTIALISM, or a mention in The Simple Show podcast. The concept pops into the front of my brain. Tsh from The Simple Show has been using the format of what you say yes and no to which has really resonated with me. The other podcast and writer that has made me think around this concept is Emily P. Freeman and listening to her podcast The Next Right Thing. She talks about noticing and determining what your personal important list is so you can make the right decisions and goals for YOU. For much of my life, I have done what is politically correct or the impression of what I thought “I was supposed to do.” This can range from parents, partners, kids, or bosses. As a teacher coach, I use the term: self-imposed rules. Humans impose our own parameters all the time. We use our past experience and excitement and the rules are given to us but sometimes we make it harder on ourselves then we need to. The job I have now causes me to spend a lot of time dealing with issues that are not related to the content of my profession. I have added tasks related to the commute. I cannot blame all the issues of time and balance on the commute, however. When I was reflecting on how I honor or do not honor reality I was brought back to memories of my first year teaching I became addicted to teaching and doing a great job. I believe in the mission of teaching, inspiring, and facilitating students to become lifelong learners. In my reality that is not just a catchphrase. I was at school 6 in the morning to 6 at night to try to get as much done as I could that first year and by March I was burnt out. I was exhausted and decided to make a solid end time to the day to go home. If I got the work done, great. If not, it would be there tomorrow. For the last couple of months, I took nothing home to work on. I had to replenish or I would be no use to my students. I would like to say I learned my lesson that first year but I didn’t. I cycle through periods where I throw myself into my work and that’s all that I can focus on. Then I reach the point of sickness or complete exhaustion and scale back with a plan. In my reading and writing life, I am obsessed with time. I love stories with a time element. I even have a timepiece as part of a tattoo. The white rabbit from Alice in Wonderland is my spirit animal. Time is important to me and I need to honor it because there is only so much of it. I better manage when I do some flexible planning with specific intention to help me complete activities that are truly important to me and my mission. I have to honor the reality and make the writing a priority. I also now recognize that the physical writing is easier for me if I have a little plan. I like to write and see what happens but if I have an idea of three major pieces of a story the writing is much more fun. I honor the reality that my time in the car is not wasted I can enrich myself and think. I honor the reality that I can make notes at the gym in between sets and come back to it later. And I honor the fact that I am older, the commute sometimes makes me tired and I can just sleep or not think about writing. I can come back to it and it will always be there. I have some goals that are doable. 1 story a week. Most of the time I do more. I need to schedule revision time and use the Google Calendar time blocking it. For me, honoring the reality is not the big issue. I have to shift my own paradigm to make sure what is on my “important list” is what I know to be important for my own reality, not someone else’s. I love to ask people questions. I have used Julia Cameron’s 5 imaginary lives question frequently when meeting new people to learn more about them. I also have an ongoing research project where I ask individuals what their earliest reading memory is. This question always elicits an emotional response on either side of the spectrum. It didn’t occur to me to think in the context of writing memories until Gabriela Pereira ‘s DIYMFA book club email showed up in my inbox. So, the question to my myself today is: How Did I Become A Writer? My initial thought is that I have always been a writer. Then two distinct writer memories come to mind. The first memory was when I was 8 or 9 years old. I used to write all the time on lined loose leaf notebook paper. The standard school white with the blue lines paper. There is one story I remember writing about the forest and the trees that was in a stack of stories. My cousin was visiting from Germany that summer and read it and made fun of me because I wrote about not being able to see beyond the thick forest of trees. It was good-natured teasing and the story made him laugh even though that was not my intent as a writer. It didn’t discourage my own writing process, but I do not remember sharing my writing much after that incident. In first grade, I was inspired to be a writer when the older kids came in to share their young authors’ books with our class. The book was in the shape of a turtle and it was when I realized that I could make my own books.The older students sat with us on the floor and read us the stories they had created. In my 6year old eyes, I was meeting real authors and I remember asking them how they came up with the story idea. I was fascinated. I remember making my own stories but do not remember making my own books. I received a desk set for Christmas one year and I was thrilled and kept writing. I remember my parents making fun me because they never thought I would have that strong of an emotional reaction. They say it was the equivalent of me winning a million dollars! When I taught my own classroom I vowed to focus on writing because I wanted to be the writing teacher that I never had. I have inspired and caused writers to flourish since the beginning. I started the Young Authors event in my class and beyond. I shared my own writing with students, wrote daily for them and with them. I shared my own peer writing experiences of my journal group which I loved. I have had past students contact me after pulling out one of their little books they wrote and rereading it with their families. I wish I had more of my writing when I was young. I only have a few pieces and I am sure that the nostalgic memory of the stories is much more proficient than the actual writing anyway. In the past year, I have written numerous short stories and poems and participated in NANOWRIMO so I am happy to report I am STILL a writer! So, how did you become a writer? How does that shape your writing instruction now?